Michael Kors sure does have his favorite campaign girls. Karmen Pedaru and Benjamin Eidem make an appearance, naturally. We're treated to a set of fashion's finest models fronting the campaign. Our forum members are unimpressed. Forum members unanimously agreed that this was an exceptional editorial. Everything from Karmen's smile to the font of 'beauté' is perfection. It's always a pleasure to welcome a new magazine into the mix. “This is creeping me out. I love Karmen but this scares me." 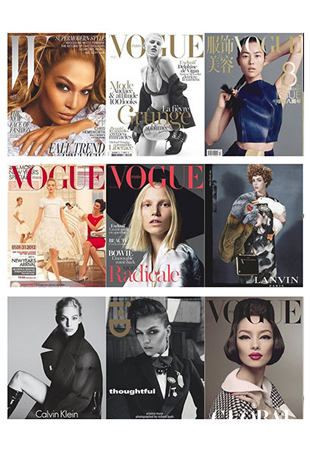 We talk to Models.com about their new updated rankings and modeling industry trends. 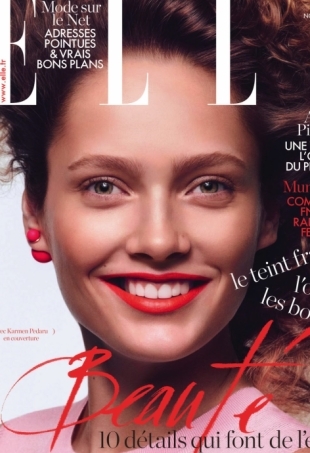 Estonian model Karmen Pedaru, who has been a face for Gucci and Michael Kors for many seasons, is finally snagging her well-deserved Vogue covers as a result of joining über-agency IMG earlier this year. Bottega Veneta has just released a new video about the making of the brand's Spring 2012 ad campaign. Starring Karmen Pedaru, the ad was photographed by artist Jack Pierson. This is the latest in a series of artist collaborations: the brand has previously tapped major art world figures like Robert Polidori and Mona Kuhn. Arizona Muse, Frida Gustavsson, Lindsey Wixson and more strike a pose backstage at the shows.